Like his half sister Bonnie, Rider was bred by Solsitce (Oz x Lindy) and was the Stud Fee puppy for Lindy’s second litter so he carries the Arylan kennel name. 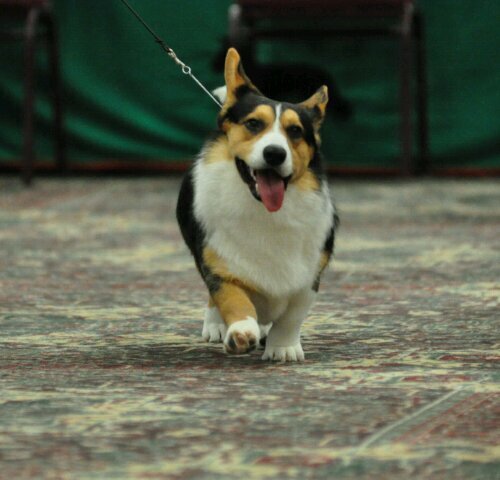 This handsome boy finished his championship quickly including class placements at the CWCCA Nationals. He produced some nice litters and then was retired to a companion home.